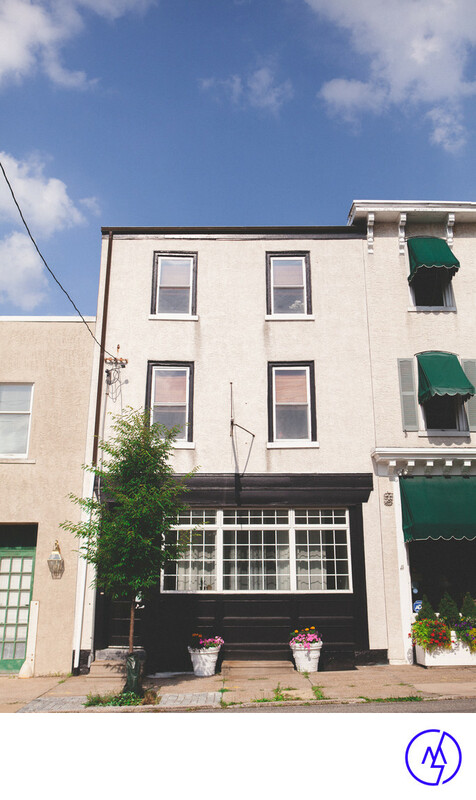 92 Bethlehem Pike, Philadelphia, PA 19118. The exterior of the studio is black. 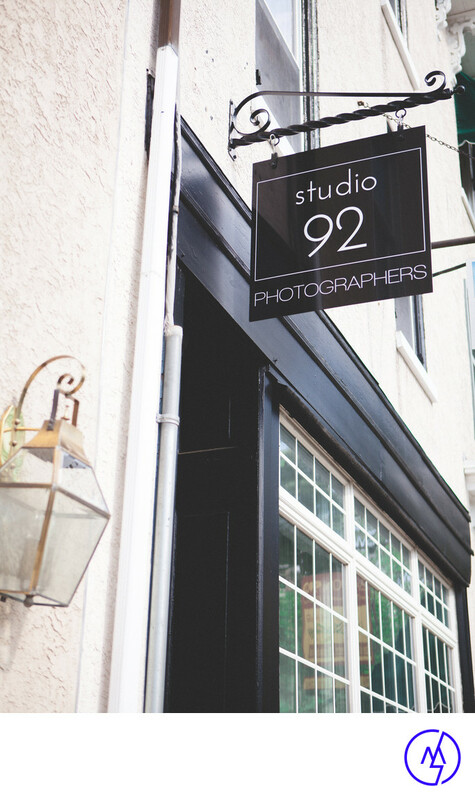 Enter through the door that has a sign above it saying "Studio 92 Photographers". When you enter, click the button on the buzzer on the very left and I or one of the studio owners will let you in. If you have purchased hair/makeup services, you will be introduced to the hair/makeup artist by either one of the studio owners or myself. 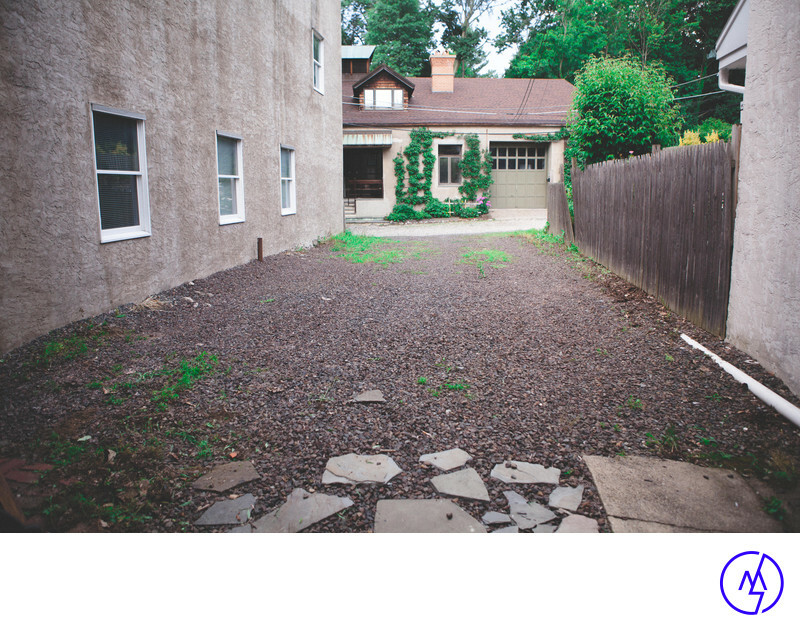 There is ample free 2-hour street parking directly in front of the studio. If your stay is longer than two hours, I suggest parking in our private off-street parking lot directly behind the studio. 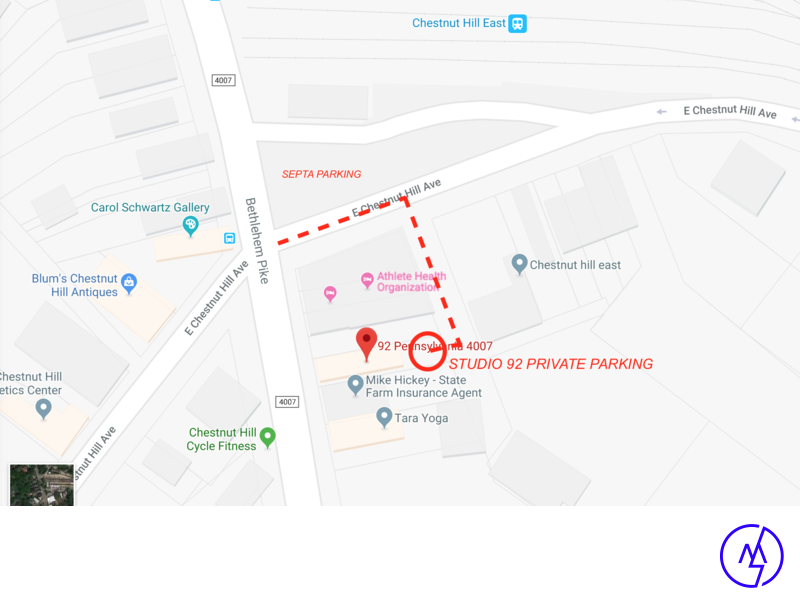 This is accessible by driving on Chestnut Hill Avenue as if you were going to park at the train station, but instead of taking a left into the SEPTA parking lot, take your first right, and we are then the first lot on the right. You'll likely see my bright orange Honda Fit parked there. Additionally, you can park at the SEPTA Chestnut Hill East parking lot for a small charge. It is steps away from the studio. Men, I suggest getting a haircut 1 week prior to the shoot. This allows for your hair to grow in slightly after the cut, creating a well-groomed but natural-looking appearance. If you are growing out facial hair for the shoot, please make sure it is groomed unless you are going for a less clean-cut look. Additionally, you can shave mid-shoot if you would like shots with facial hair and without facial hair. Photo magic! Women, getting your hair cut more pertains to any split ends/damage at the ends of your hair, or creating some layers in your hair. If you think you will benefit from getting a quick trim or overall cleanup of your hairstyle, go for it. If you have shorter hair, a full cut a week ahead of the shoot may be beneficial for you. Get a good night's rest; it makes a huge difference in your photos! Clothes should fit well and hug the body. They should not be baggy. Clothes that fit tighter are better because they show off your form, but they should not look like they are way too small. They should fit you well. Bringing a variety of shirts is always great. Examples: One solid color tank top, one solid long-sleeved shirt or blouse, one solid polo shirt, etc. Bring at least 3 to 5 shirts so we have options. Having more options is better than having less options! I will be very impressed if you bring 10 or more options. Clothes should fit well. They should not be baggy or overly-tight. Suit jackets and blouses are perfectly acceptable, as are button up shirts. It is really dependent on what kind of image you are trying to project. Take a look at what others from your company are wearing to get a sense of what you should bring to the shoot. If you are an entrepreneur, think about what style of dress most aligns with your brand and how you wish to be perceived. Bringing a variety of shirts/tops is beneficial to give us options during the shoot. I will be able to advise you on what looks best for you. No highlight/contouring - it does not read well in headshots at all. Trust me on this one! Your cheek bones will look great from the lighting, I promise! Wear your hair as you would to a big audition. It should look put together but not overdone. Most of all, it should look like you would actually wear it to an audition. Watch out for strays and frizz. No jewelry, except for business headshots in which small stud earrings and a subtle necklace are acceptable. If you didn't initially add a hair and makeup artist to your shoot and you would like to do so after booking, please contact me at least 5 days before the shoot to let me know. I promise you that having a hair and makeup artist at your shoot makes an incredible difference and is worth every penny. The general idea is to look natural for the camera. That's why we stick to neutral colors and don't over-define the eyes. The makeup is supposed to enhance your look without looking overdone or unnatural. Think more "I woke up like this" than "date-night"
The 50% retainer is due upon booking and is payable online using credit or debit. The remaining balance is due at the conclusion of your session and is payable via check (please make the check out to Mike Styer Photography), credit/debit via your portal, or cash. You will select the images you would like retouched. Select the image(s) you would like retouched by hearting them within the online gallery. Please note the number of included retouches corresponds to the type of shoot you booked. The retouched images will be uploaded to the retouches album in your gallery. You can purchase additional retouches at any time at $40/image. I suggest waiting to post images to social media until you receive your retouched images - they are the ones you'll want to post!